Squat City Is Under Attack! Violet Autonomous Space opening tomorrow 6pm! Otto on Violet Autonomous Space opening tomorrow 6pm! 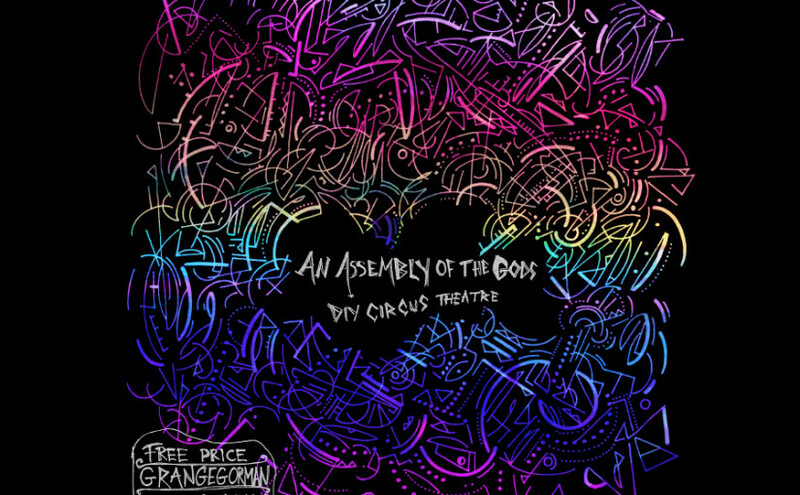 An Assembly of the Gods is a free price show that has been thrown together in the patchwork fashion that DIY shows tend to be assembled. We invite you to join us in our festival rites; to empower the land-based gods of flesh & tongue. There is also a Facebook event page here. 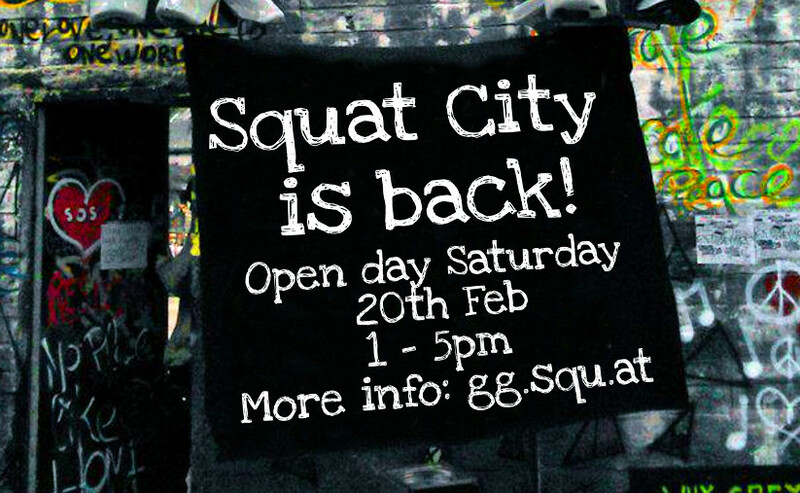 We would like to invite everybody to Squat City on Saturday for our first open day since the reoccupation. Between 1pm and 5pm, everybody is welcome through the side gate on Lower Grangegorman, whether they know us already or not! We’ll be serving food and showing people around the space and answering any questions they have. We’re also very interested to hear ideas that people have for the space. We hope to soon set up some sort of collective structure that makes it easy for non-squatter non-residents to get involved in the space, as well as reaching out to community and activist groups that could use the space1, but we won’t have this in place for Saturday. The purpose of our open day on Saturday isn’t necessarily to get loads of new people involved in the space (yet), it’s simply to re-introduce ourselves to our neighbours and remind everybody what’s possible. In the collective unconscious of our society, the police are the ultimate bastion of reality, the force that ensures that things stay the way they are; taking them on and winning, however temporarily, shows that reality is negotiable. Seven Myths about the Police — CrimethInc. We know that Squat City / Grangegorman was a very special place for a lot of people. Especially after the eviction attempt in March last year, and the previous occupants’ successful resistance to it, it became a symbol for something much bigger than itself. It gave hope to so many people and reminded us that the power of the ruling class and their accomplices, the police, is not absolute after all. They had it all sewn up. They boarded up all the houses. They razor-wired all the fences. They painted over all the graffiti. They got security to occupy the place 24/7. It was over, it was time to move on. When it was sold in the end, there was no mention of it having ever been the centre of Dublin’s squatting movement, or a symbol of resistance for a whole city. It was like it never happened. But lest you doubt that it ever happened, come to the open day on Saturday. We want to show you that it is indeed all real. We want to rekindle the flame that was lit last March. We want to introduce ourselves to our neighbours and show them the space that was so dear to them before, that they feared they would never see again. Once again there is a giant gaping hole in the fabric of consensus reality. Squat City lives! …and now it’s reality who has to negotiate with us. If you are a community or activist group in the area, and you want to use the space for anything, whether it’s a meeting, an event, or to store stuff, or anything, get in touch with us! You can email grangegorman@squ.at or send a message to the Resist Grangegorman’s Eviction Facebook page. This should be no surprise, as the ‘justice’ system is designed to serve the needs of the ruling class. Squat City has been liberated! Spread the word friends. The warehouse will soon be full of words; the garden has begun regrowing community; music and paint about to burst across the city. At the lower end of Grangegorman and where the block continues along North Brunswick Street, acres of warehouses and yards and houses and space space spaces have been laying vacant far too long, once again. From developers to NAMA to developers to judge’s friends and back to developers for more and more money while people and places rot. We who need a home have housed ourselves. We who need good work have found it. No pay — no problem. We invite you to join us for fun and struggle. Stay tuned for updates and events — we intend many things — and a brilliant surprise event is in the making to warm up your cold winter hearts for what’s to come. This new occupation is a direct protest against Judge ‘Justice’ Gilligan, who claimed to legitimise the eviction of the previous residents and all that they built over days and years, days after jailing folk for daring to protest the water charges, all the while living in paid-for privilege and purported power. And so, of course, thank you to the Resist Grangegorman’s Eviction Facebook page’s admins for giving us the page and for all the inspiration and DIY fixes that survived the attempted purge. Invaluable. Stop the rot; Squat the lot! Posted on 15th February 2016 19th February 2016 Categories NewsLeave a comment on Squat City has been liberated!